Despite popular belief, planning a dream garden really isn't as hard you might think. 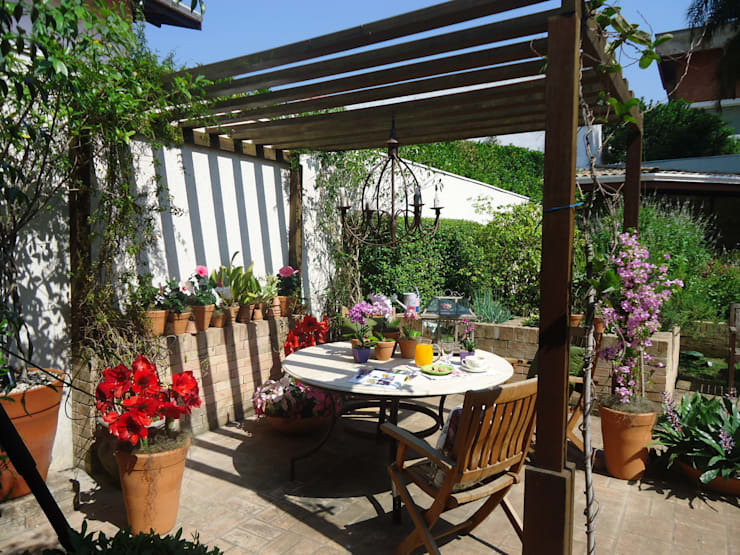 Luxurious and comforting garden spaces can be achieved with much less effort than you think. 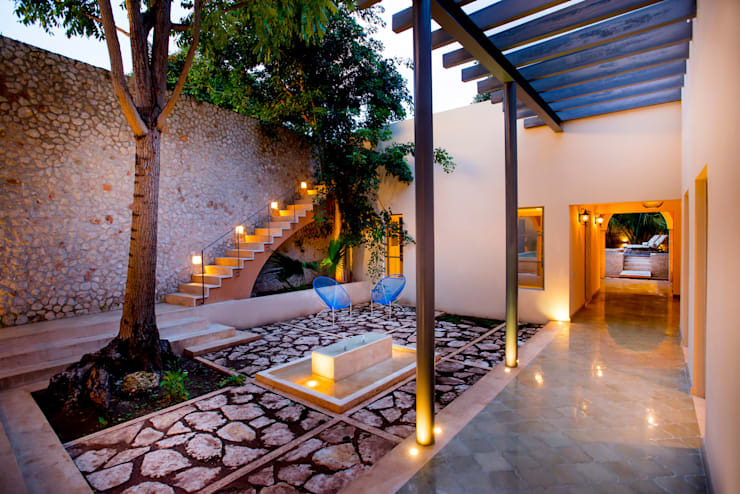 Although an experienced landscape architect would certainly take whatever effort remains away from you in such an endeavour, you might opt to go this one alone in order to expand your skillset and to keep that home improvement budget in check. We want to help you with your garden design project, so have brought together a list of the must-have items that will add style and grace to your outdoor space. As we at homify are known to do, we want to keep things as simple and requiring as little hard work as possible. After all, you want to enjoy the process, as well as the finished product! Come take a look at our top tips and start planning your new garden today! 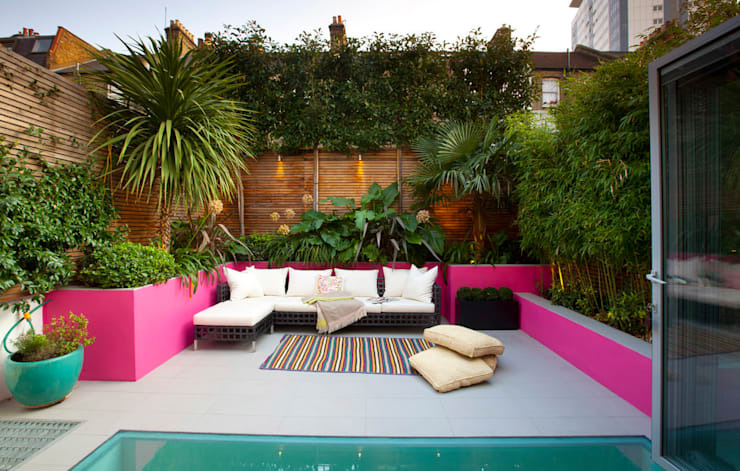 We all know that lighting can make or break a space and that's true in your garden as well. Even a simple string of fairy lights could be enough to give it a welcoming ambience! 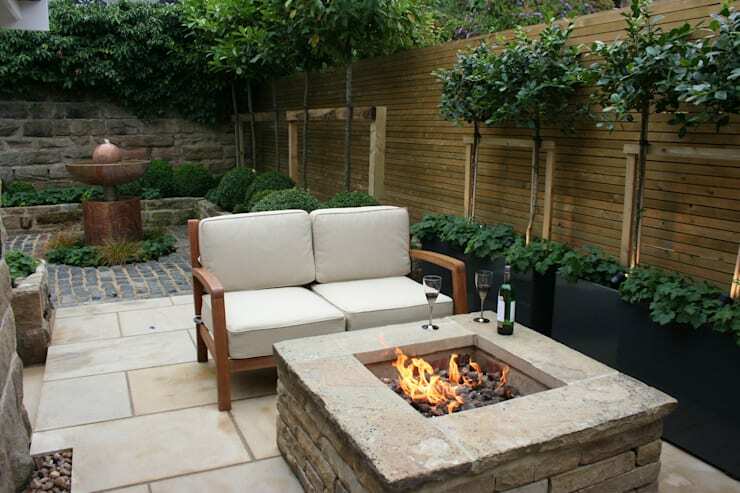 You want to know that you'll be warm enough to enjoy your garden, whatever the season, and a brick fire pit is an easy and effective, not to mention stylish, way to ensure that! When it comes to adding some character to your garden, upcycling pallets is one of our favourite techniques. 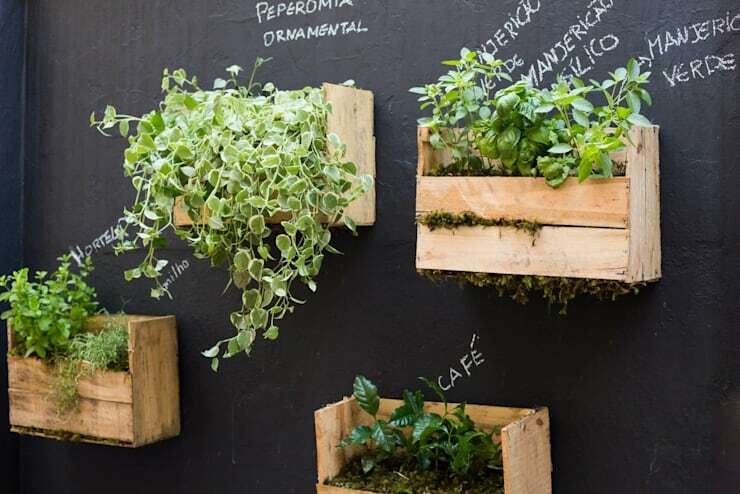 Just look how cute these herb planters are! We cannot implore you enough to not just simply add plastic chairs to your garden! They look awful and are so uncomfortable. Invest in some sociable, comfy seating and you'll use it all the time. For simple table lighting, you really can't beat hurricane lamps. They look amazing, won't cost you a month's salary, and will finish off an outdoor seating area perfectly. Far simpler to build than you might think, a pergola is a must-have for any really stylish garden. Big or small, and painted in whatever colour you like, they naturally lend a finished look to a space! Whatever plants you have in your garden, be sure to keep the beds really neat and weed-free by adding a layer of shingle to the top. 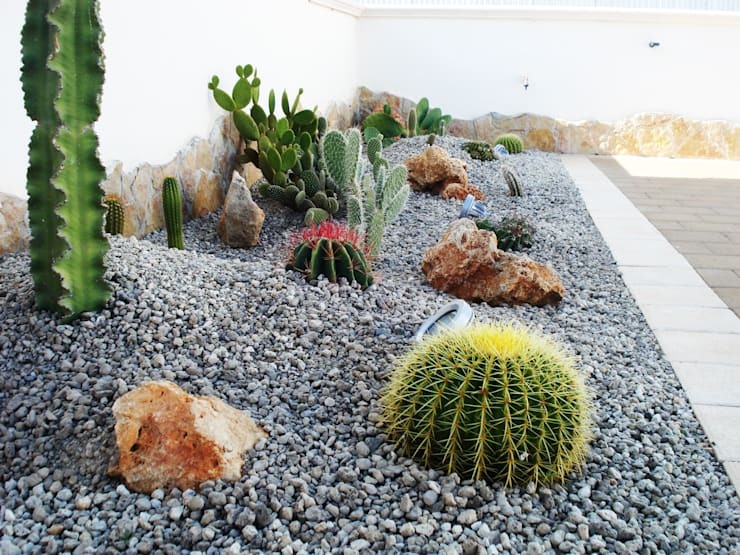 Your garden will look as thought it's cared for by a professional gardener when there isn't a weed in sight! A garden space should always be somewhere that you can relax, take a few moments and just unwind, so some zen motifs will always go down well. We love the idea of having hidden statues all about. When you want to take your garden from nice to spectacular, a water feature is a solid idea that will never fail. From a simple fountain to a luxe pond, anything will work, and if you can add a bridge somewhere too, you're really upping the style stakes. Children love experiencing the garden with you, but gardening is a bit of a grown-up pastime, so how about adding a fun little area just for them? 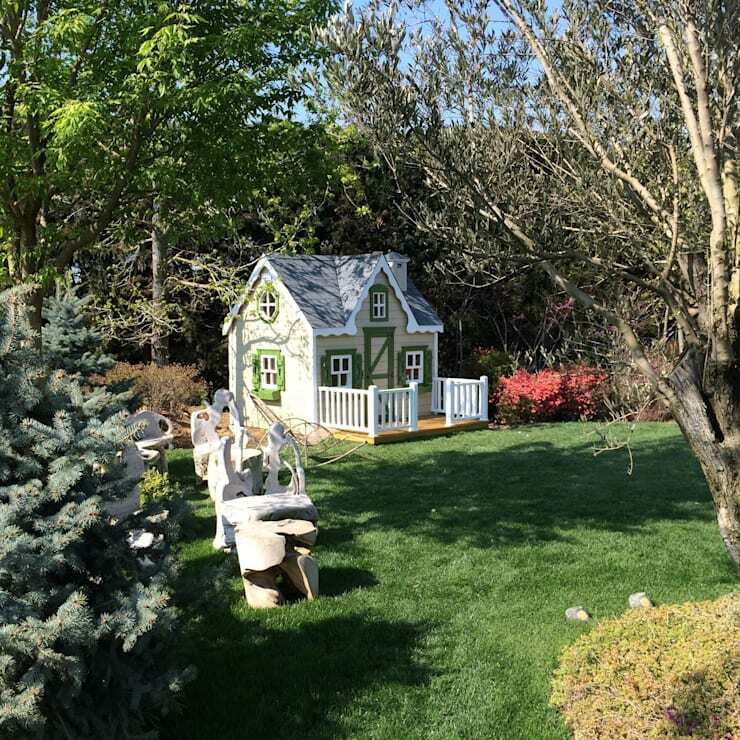 You can create something really beautiful that they will love to make their own, like this pretty playhouse. See, it's not so difficult to get your perfect garden. Find more inspiration in these: 25 small gardens that are absolutely charming. Which of these tips are you going to try out in your garden?